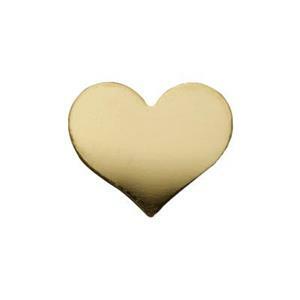 This 24 gauge gold-filled heart rivet blank acts as a decorative charm. Drill a hole to match your rivet, then place it between the top of the rivet and the surface of your metal for some extra flair. Combine it with other jewelry riveting supplies for your next jewelry design. This item is the same shape but slightly thinner than GF256T.